You can find some of my artwork for sale in my Squier Etsy Shop. 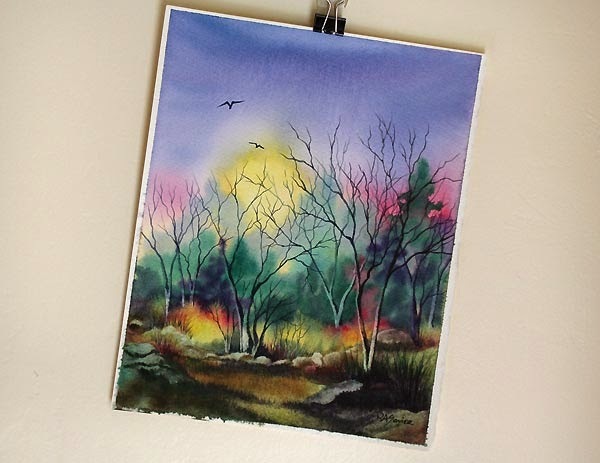 My original watercolor paintings, ACEOs, giclee prints, torch fired enamel beads. 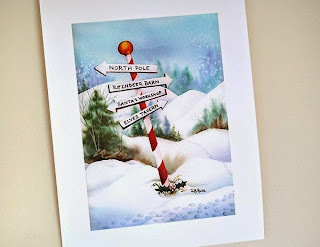 Christmas cards and note cards created from my watercolor paintings. Miniature Christmas ornaments and more! There's even one already made, ready to ship Cigar Box Guitar made by Michael. Original art makes a great Christmas gift whether it is a gift you give to someone else or one you give to yourself. 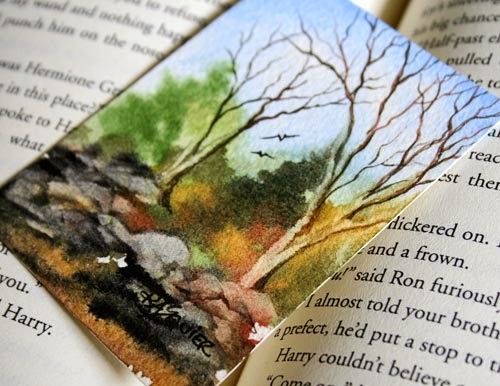 For a Limited Time: Free Worldwide Shipping on the Miniature Watercolor Paintings also known as ACEOs in my Squier Etsy Shop. 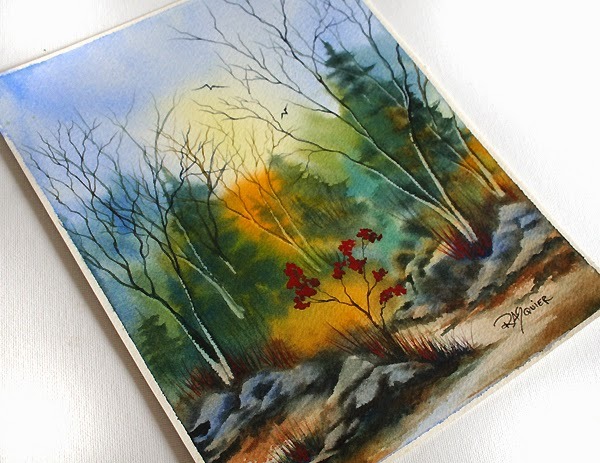 Winter Landscapes, Autumn Landscapes, Beach Scenes, Dew Drop Series, Floral Still Lifes & more! 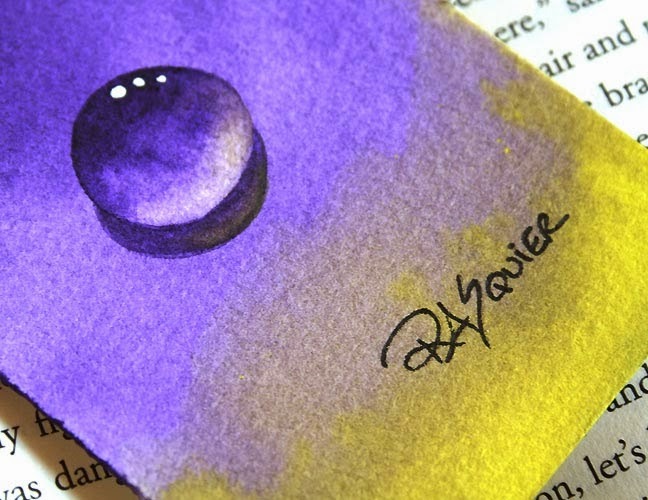 Giclée Prints are available in my Squier Etsy Shop! Along the trail to the North Pole you will find your way to Santa's Workshop, the Reindeer Barn and even the Elves' Tavern! Makes a delightful holiday gift! Available in both 5x7 inches and 8x10 inches. Professionally printed on awesome quality paper. Perfect for a holiday grab bag gift! I have been busy at the torch again! Creating my handmade miniature Christmas ornaments. 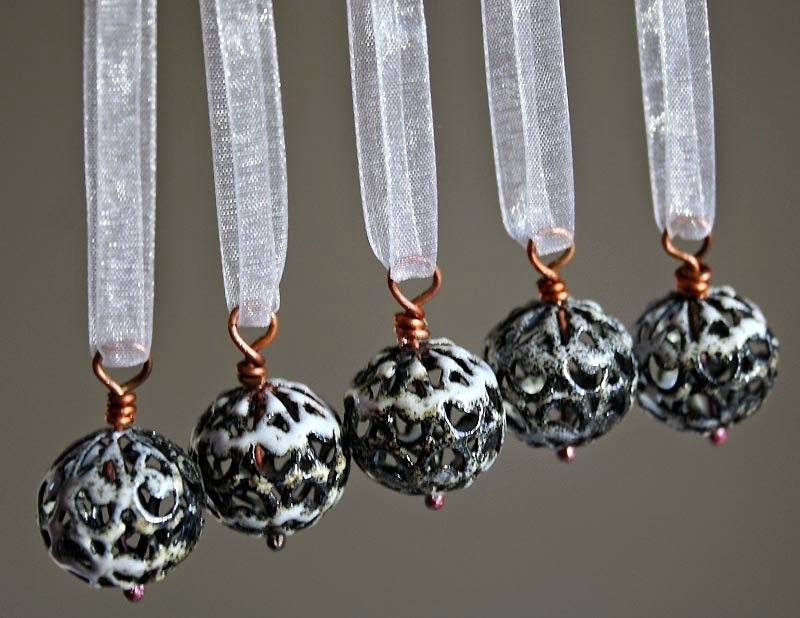 Pretty little filigree balls coated with white glass enamel. Perfect for that little Christmas tree. 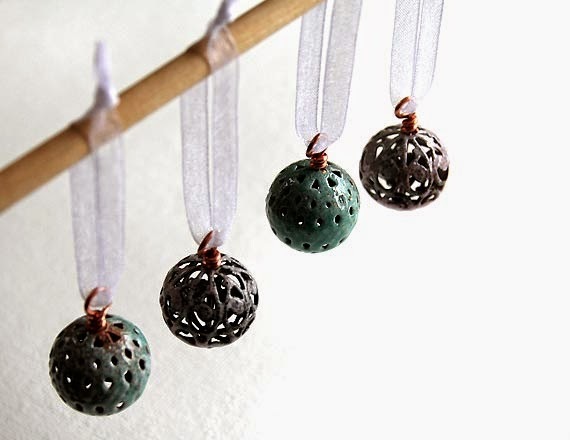 I have added some of these to my big Christmas tree for added flair and dimension. These and more including a variety of colors are available in my Squier Etsy Shop's Christmas Section. The white reminds me of snow covered ornaments. It's that busy Autumn time of year when the leaves are falling from the trees. The more you rake the leaves, the more they fall from the trees. Keeps a person very busy! My only wish would be for all the leaves to fall before the first snow! The sun shines, the temperature cools and the leaves begin to fall from the trees. Autumn is almost here. 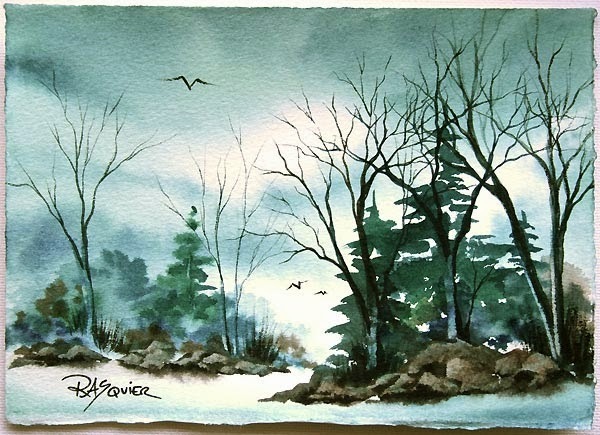 I will be offering up a series of 8x10 watercolor landscapes. A handy little size for easy framing. I do love painting trees! The red leaves seem to glow. 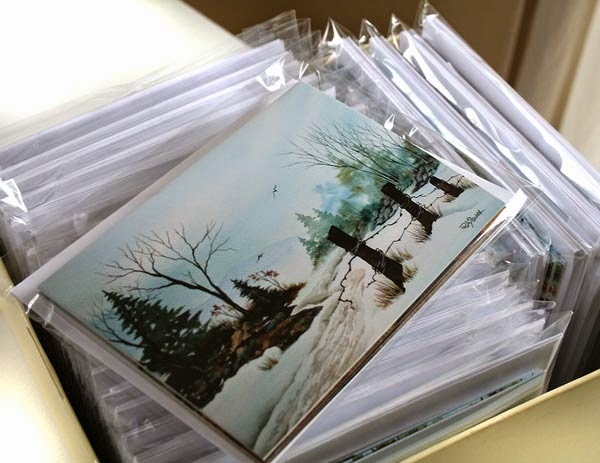 Today I packaged up a bunch of sets of my Country Road blank note cards. All four seasons in one pack. Winter, Spring, Summer and Autumn. I have added the miniature Christmas ornaments back in to my Squier Etsy Shop. Perfect for a mini Christmas tree or even a full size tree! At Christmas time I add quite a few to my own large real tree. It adds an elegant little touch. Both are available as self-inking rubber stamps with red ink. Custom colors can be special ordered. 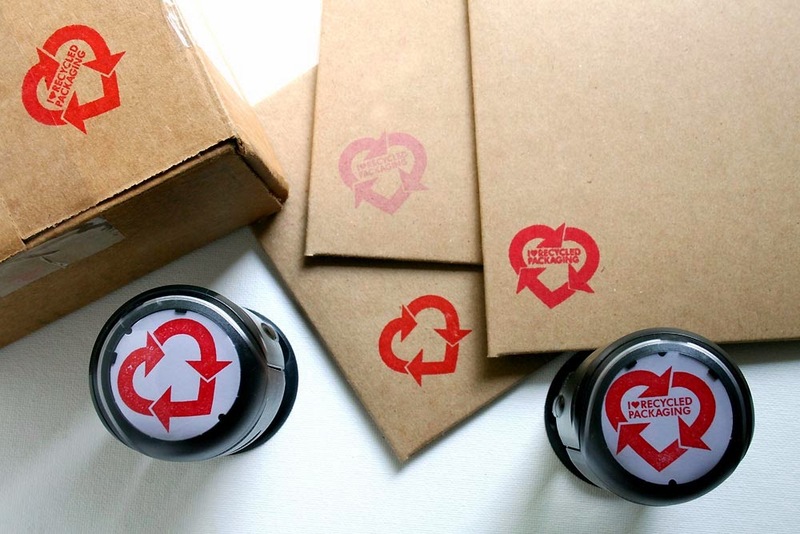 Perfect for stamping your packaging or anything else to let everyone know you love to recycle and use recycled packaging. Plus it would be great if they would recycle it as well. I have decided to add this new product to my Squier Etsy shop. Take a peak! And yes! 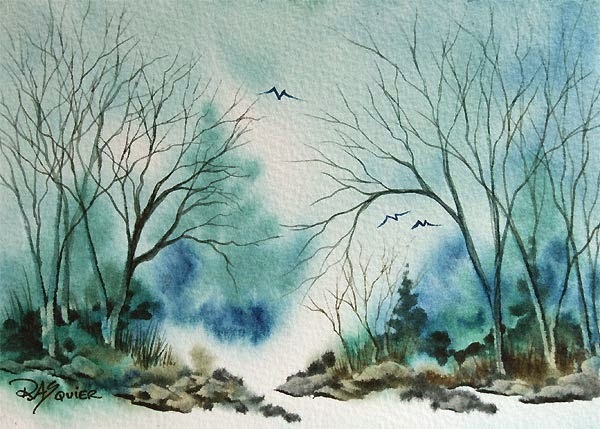 I have been creating new watercolor paintings and will do my best to show them off here on my blog. Must try harder to keep those brushes wet! Are you enjoying Palindrome Week? The date written out in numbers is the same forward and backwards. It is April not January, however, we awoke to snow this chilly morning. The temperature was in the low 20s. It was mid 60s yesterday afternoon and it was over 70 the day before. Such is the temperature of Spring up and down with Winter trying to hold on tight. 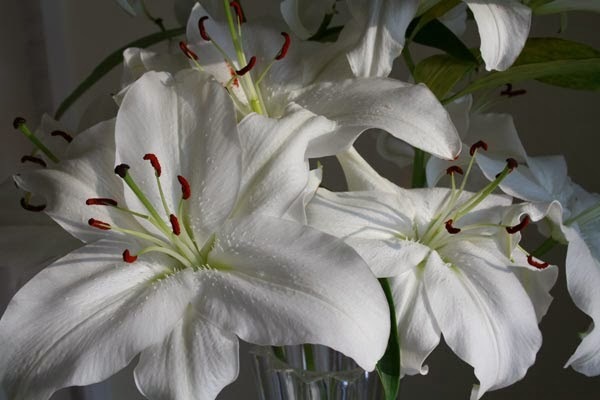 But I have flowers blooming in my gardens, crocuses, hyacinths, daffodils, siberian irises and more. I have been working on the redesign of my RASquier.com website. 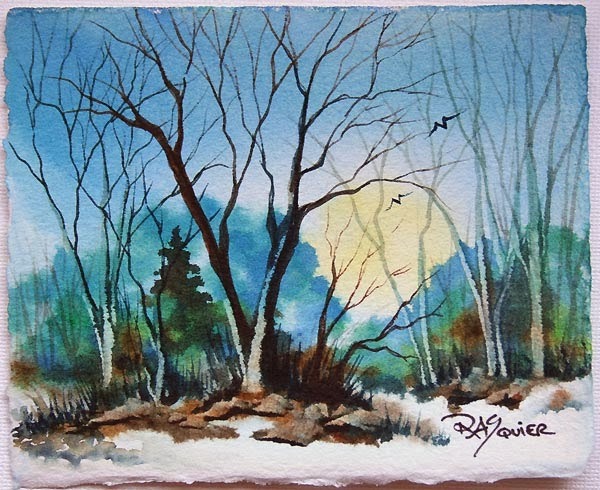 This January Frost painting and more 5x7 watercolors are on display and up for sale. My goal is to continue to add more of my art to the website. The six new pieces added yesterday were all painted this year. A few have been displayed here on my blog and now they are listed for sale. 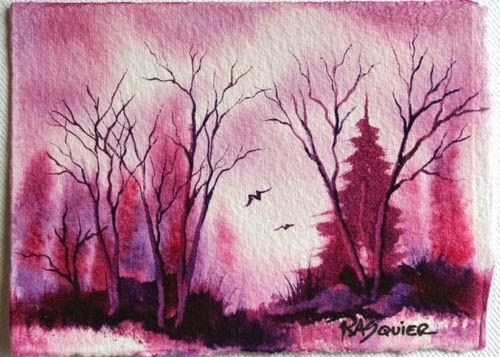 is one in the set of 4 note cards created from my latest watercolor painting series. 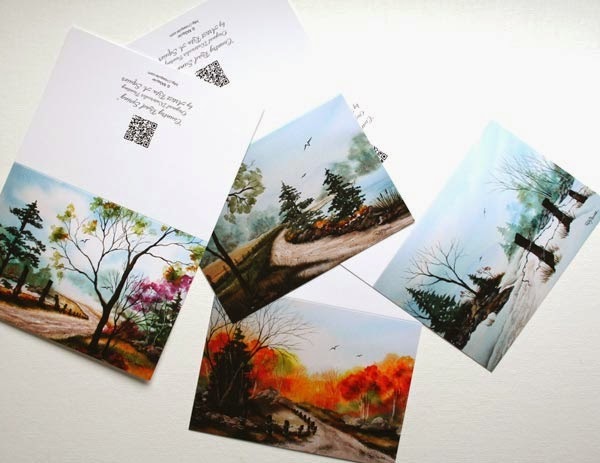 My newest series of 4 paintings are now available as note cards! 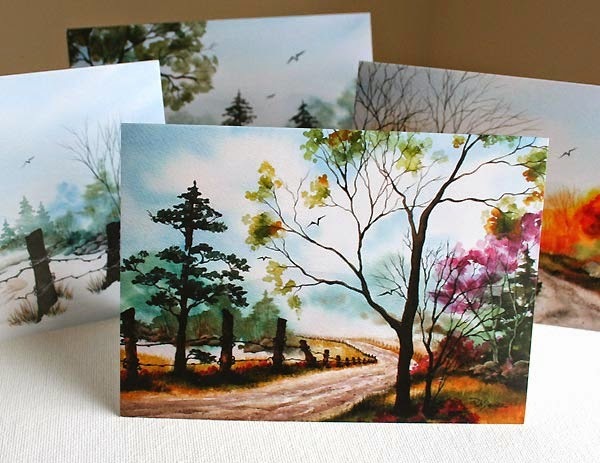 It was so much fun planning and painting a country road in the four seasons. Then photographing the paintings. Creating the layouts for the note cards. Sending it all off to the printers. Days later two boxes arrived on my doorstep! I can't wait to spread the word. 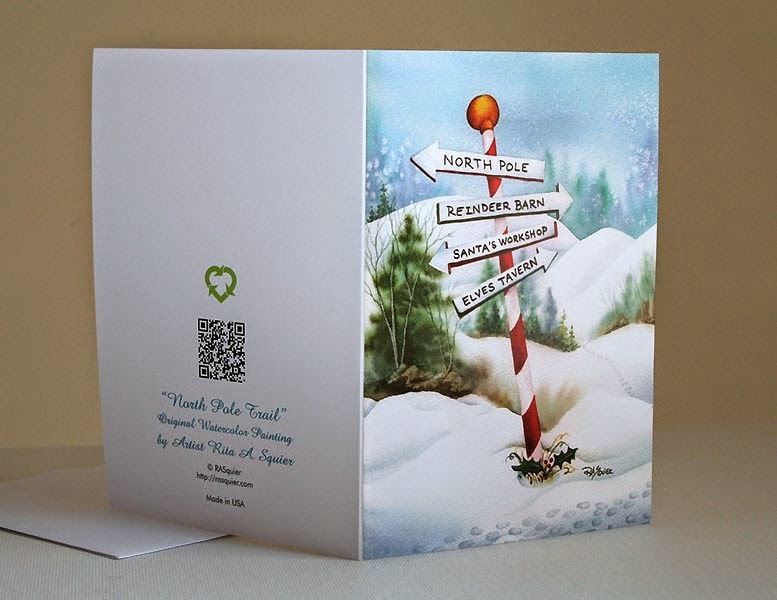 They are 4.25 x 6 inches, blank inside and come with white envelopes. Perfect for handwriting a lovely little note to a friend. 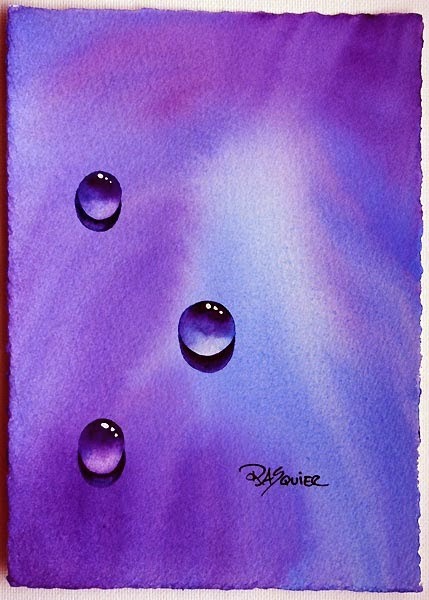 It has been a while since I painted dew drops. I decided I would try my hand and see what happens. 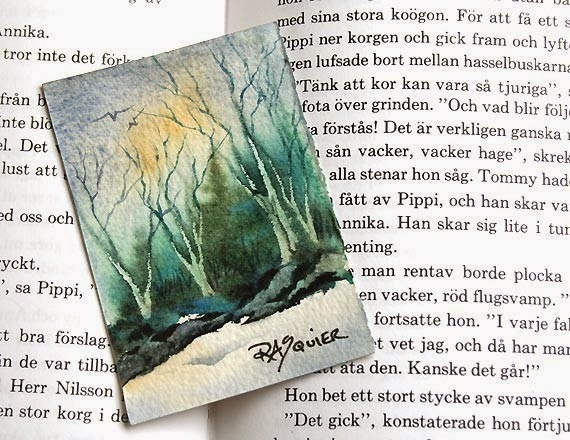 This lovely small watercolor paintings and the other winter landscapes you see here on my blog are for sale. Soon I will be adding them to my website complete with PayPal buttons, but in the meantime if you desire to purchase one, contact me! 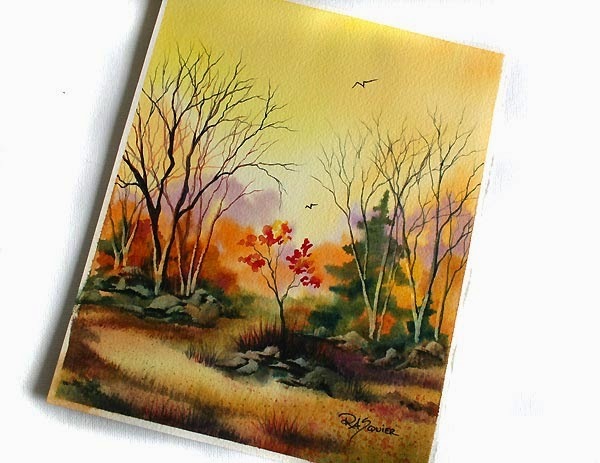 A lovely small watercolor painting. A winter scene with a burst of setting sunshine behind the big old tree on a chilly winter day. One should not leave their newly needle felted project on the living room coffee table if you have a playful cat. Scooter kitty decided Lamby was a fun new friend for him to play with. Poor Lamby. He even ended up with a tuft of red wool from our living room carpet on the top of his head from his adventures with Scooter. I placed Lamby back on the foam needle felting cushion and kept him on the corner of my desk. 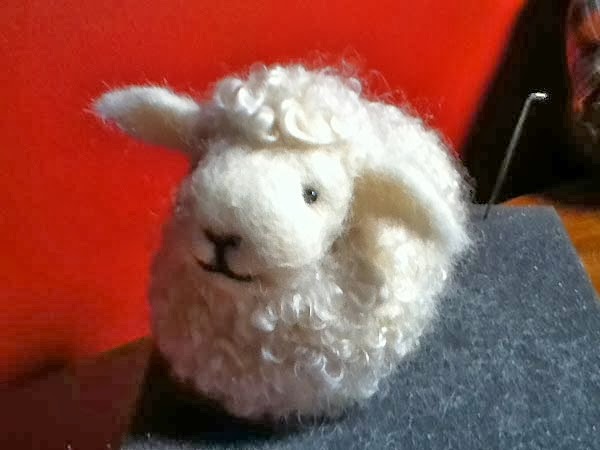 In between emails, bookkeeping, design work and waiting for customers to get back to me, I was able to needle felt Lamby back to beautiful cuteness. 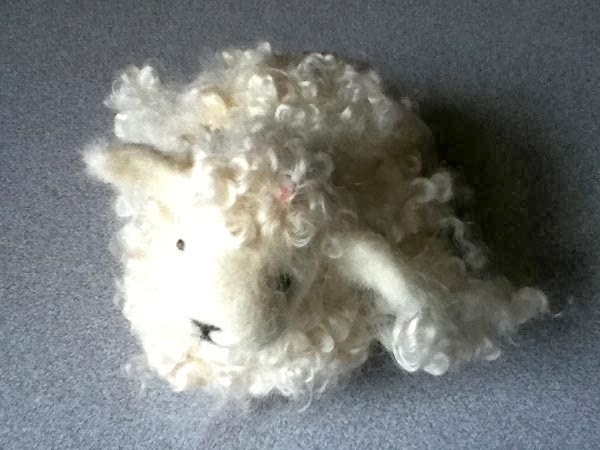 The second DIY kit I purchased was a needle felting kit to create a sheep from BearCreekDesigns on Etsy. I decided I wanted to give needle felting a try. This DIY Kit was perfect for a beginner like me. I began creating the body and the head while watching a movie on DVD on Saturday night. By Sunday afternoon, I had this adorable little Lamby! He's so cute. 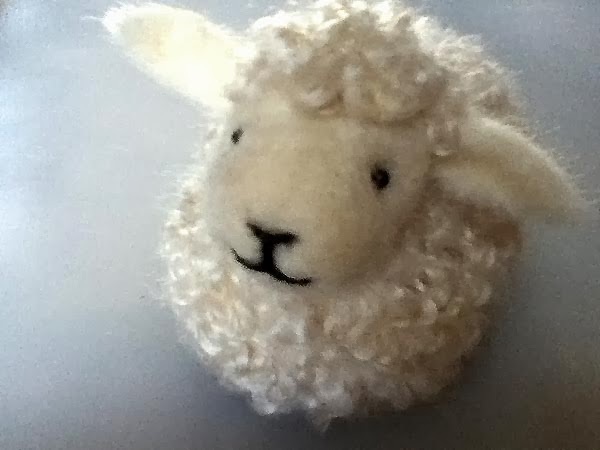 Needle felting was not as difficult as I thought it would be and I really enjoyed creating this little fellow. I splurged on two DIY Kits I found on Etsy. Kind of as little birthday presents for me from my darling little furry friends. I ordered them earlier in the week and both arrived by the end of the week. I found a DIY Mozzarella Kit from UrbanCheesecraft on Etsy. 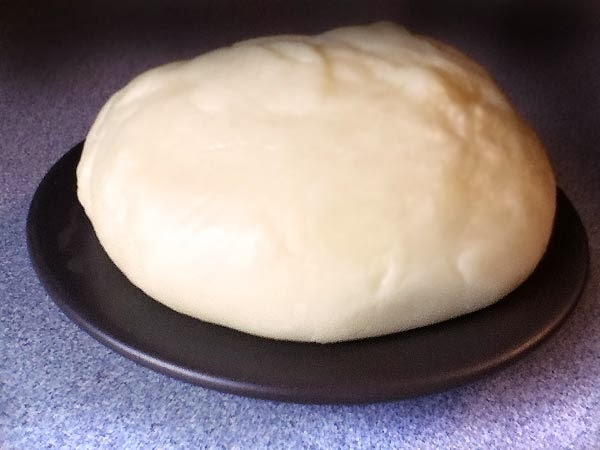 This afternoon Michael and I made our first batch of homemade mozzarella cheese. It was so much fun and very easy to do too! Cheese in an hour. We made two blobs of cheese, I made mine plain and Michael added dried oregano to his. They both turned out great. We ate some as hors d'oeuvres and shredded some on top of homemade pizzas. The kit comes with enough stuff to make 10 batches. Just add your own milk. 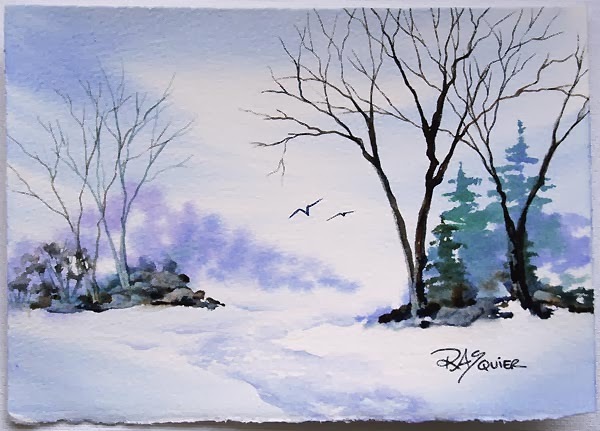 Three days in a row, three snowy landscape watercolor paintings. This is definitely a favorite! Looks like another snow storm is approaching. 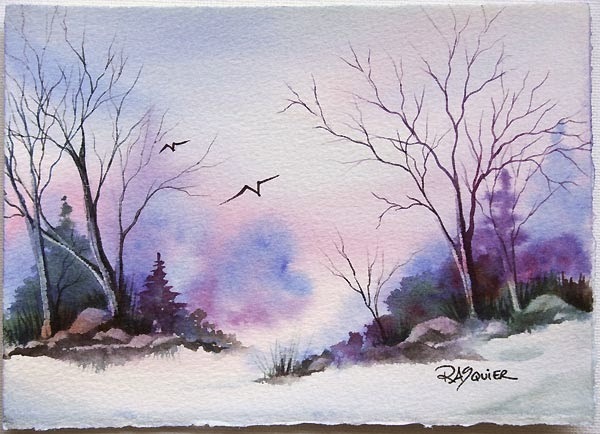 A lovely peaceful winter landscape. January 4th - It's my birthday! 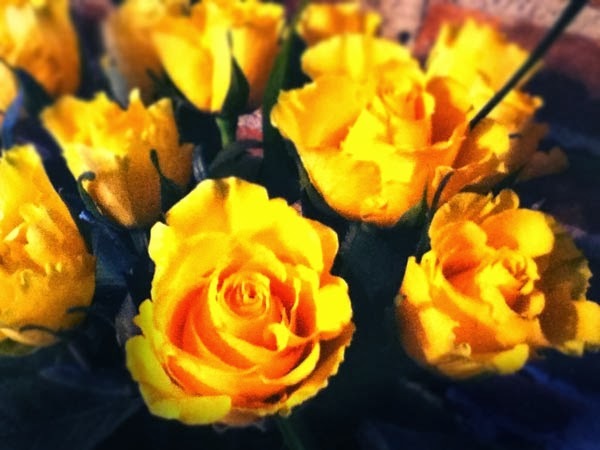 Gorgeous yellow roses, what a lovely surprise. 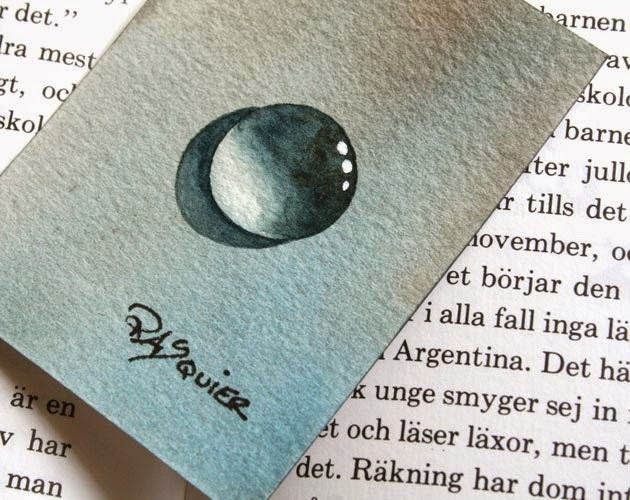 Let's hope 2014 is a fun, prosperous and filled with lots of creativity!